The International e-Sports Federation (IeSF) is taking steps to establish an Athletes Commission to protect the right and interest of e-Sports athletes, while continuing its journey to be recognized by International Olympic Committee(IOC). The establishment of an Athletes Commission is one of the core criteria in the IOC recognition process, as it ensures the voice of athletes is heard. In order to establish such a structure, IeSF will work together with e-Sports athletes and implement necessary procedures one-by-one for the Athletes Commission to function in the proper manner. The commission shall voice the e-sports athlete’s rights, interests, and welfare. The process to establish the Athletes Commission will start with the 45 member nations of IeSF, encouraging athletes to register for all game titles. As an initial stage of commission development, athletes with international competition experience shall be recommended by each National federation. To support the formation and taking into account that majority of e-Sports athletes are in their youth, IeSF plans to organize an advisory group of experienced members in the sports field to give insight and knowledge to the athletes representatives. The Goal of IeSF is to give support and offer conceptual aid for the Athletes Commission to become an organization which can grow into an independent structure for athletes in which they can voice their opinions freely. The Commission shall also participate in the decisions of IeSF key agendas to reflect its opinion and contribute to the e-sports momentum. IeSF will work together with the Athletes Commission to work on touch points which has been an issue for e-Sports athletes. Crucial issues such as the VISA process have always been a problem for e-Sports athletes since many countries do not recognize it as an official sport. However IeSF wishes to solve this by making e-Sports recognized as a true sport, working together with the Athletes Commission. 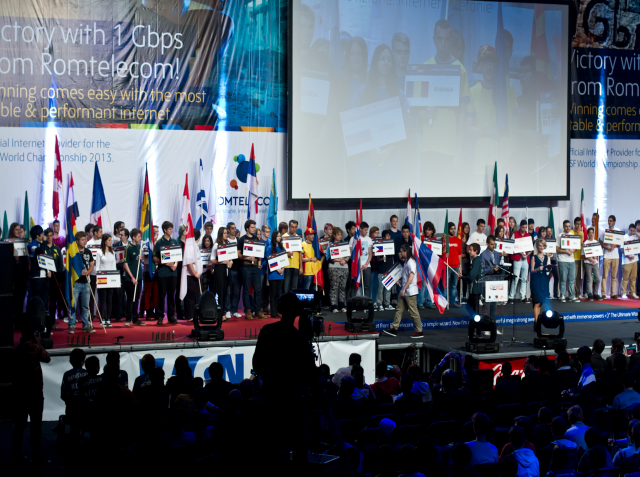 IeSF has supported e-Sports athletes in VISA issues for the past 8 years during its annual World championships, working closely with each host country governments. IeSF has resolved cases during Asian Indoor Martial Arts Games (AIMAG), indorsed by OCA (Olympic Council of Asia). Moreover IeSF supported PESO(Philippine e-Sports Organization) DOTA 2 athletes with residential Visa and Sports Visa, in cooperation with the Korean government and KeSPA (Korean e-Sports Association). Working together with various international sports organizations and various government officials, IeSF is now extending the support to all athletes of the e-Sports industry, and would like to achieve this together with the Athletes Commission. The Athletes Commission shall begin its first activities during the 8the-Sports World Championships which is jointly hosted by TAFISA at its World Sport for All Games in October this year. At such event, the opinions of the national athletes shall be recorded, while also discussing Anti-Doping and other ethical topics during the session. With the information and interest gathered during the World Championship, it will act as a valuable source to constitute the Commission which shall officially begin to function in 2017.